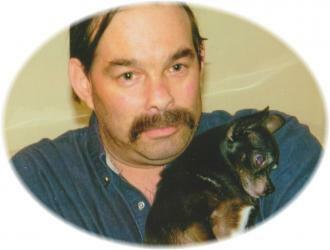 Kevin Alfred Schofield - age 54, of Kentville, passed away at home on Friday, January 25, 2019, after a 10 year battle with COPD. Born in Kentville, he was a son of Shirley (Morine) Schofield, and the late Alfred Schofield. Kevin grew up residing on Deep Hollow Road until meeting his wife, Belinda. They went on to have three children together, raising them in Gaspereau. He was a hard worker who rarely sat still for long. In his working years, he was a truck driver for Hostess Foods, H.B. Legge Transport Ltd. and Ducanson Paving. He later owned and operated Ace Taxi in Wolfville until retiring due to failing health. Kevin was a devoted father and grandfather. Even through all his hardships, he was positive and kept fighting. He enjoyed playing 45’s with his daughter and friends. He was an avid lover of George Jones and everything Ford, always collecting hats and other items. He is survived by his three children; daughter, Amelia (Richard) Kirk, Halls Harbour; sons, Evan and Jake, both of New Minas; three young grandchildren, Connor, Wyatt and Abigail Kirk; mother, Shirley (Gord) Morine, Aylesford; sisters, Judy (Jason) Schofield, Centreville and Betty (Eric) Baxter, Coldbrook; brother, Darrell (Cindy) Morine, Truro and several nieces and nephews. Besides his father, Kevin was predeceased by his wife, Belinda Lee Crouse-Schofield. He will be greatly missed but never forgotten. Cremation has taken place. There will be no visitation or funeral service, by request. A burial and farewell ceremony will be held at a later date in the Gaspereau Cemetery. A special thanks to VON services for providing Kevin with 10 years of home assistance. Also to EHS for their prompt response and caring manner. Donations in memory may be made to the Wolfville Area Food Bank or the Lung Association of Nova Scotia. Funeral arrangements have been entrusted to the White Family Funeral Home and Cremation Services, Kentville. A farewell ceremony will be held at a later date. A burial will be held at a later date in the Gaspereau Cemetery.